We stayed in Cabo San Lucas way longer than anticipated. One reason was, that the Captain left for a delivery job from San Diego to Cabo on a 100 foot Powerboat for a few days. The next reason was, that we started to have engine problems on our 3 day/night Sail from San Juanico to Cabo San Lucas. Read about it here. The Captain and Kruiser did a really good job and thought, they had it fixed, after the were sweating away in the small alley which gives access to the motor. Unfortunately the motor did loose it’s prime again. For now, we had to kick back, as we needed to get the Immigration/Customs clearance taken care of first, so that the Captain was able to fly out for the delivery job. It took about half day, but wasn’t really difficult. We did celebrate our arrival in Cabo with some Margarita’s and I felt very happy and just had a feeling of accomplishment. 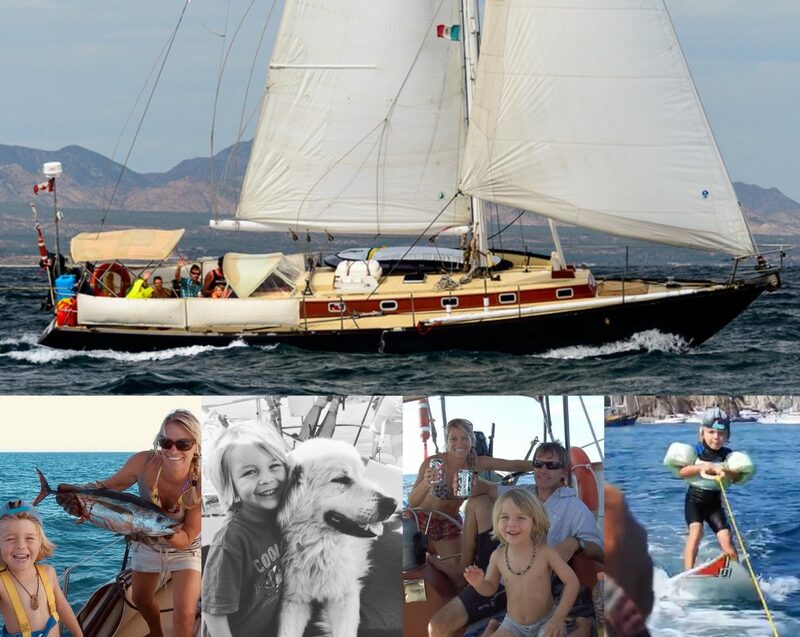 Wow, we sailed all the way from Sausalito to Cabo San Lucas, MEXICO! The Captain flew out the next day and Mats and myself enjoyed a dip in the pool, where we had breakfast the day before. We had a fabulous day and lots of fun. The days until the Captain’s return we just spend at the pool, beach, doing laundry in town. We also took the dinghy to Lands End, which is the rock formation with great snorkeling and Lover’s and Divorce Beach. Fun little trip. MOVIE UP TOMORROW!